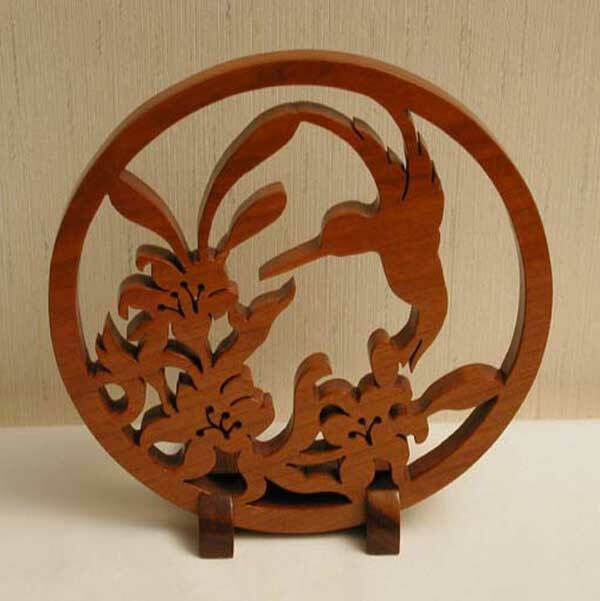 Hummingbird in the round made from Cherry, and the base is made from Walnut. Dragon made from Padauk, mounted on black velvet with a burl frame. 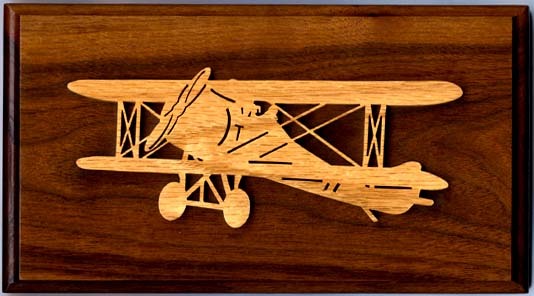 Butterfly is made from Padauk and Lacewood. 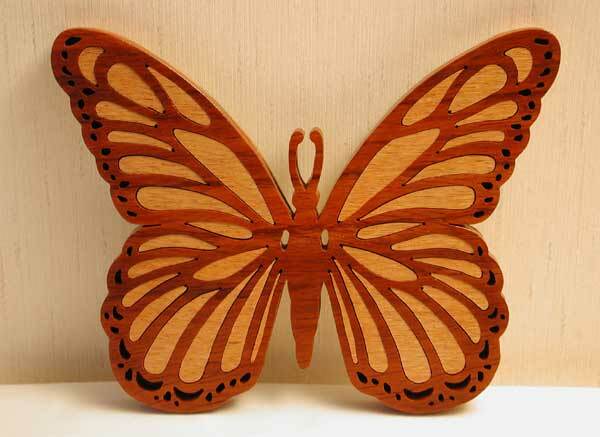 Butterfly is made from Padauk. 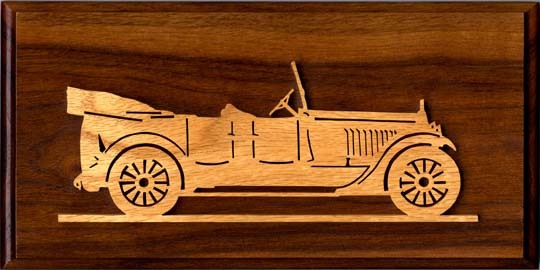 Plaques are Oak silhouettes on Black Walnut background.